Adele will premiere “Skyfall”, the official theme song to the upcoming 007 film of the same name, globally via her official site on Friday October 5th at 0:07 BST/LONDON time (7:07pm EST on October 4th). The track is available for pre-order at iTunes starting today. October 5th marks the 50th anniversary of the release of DR. NO and is being celebrated as Global James Bond Day. After reading the script for the film, Adele enlisted Paul Epworth to co-write and produce the theme song to “Skyfall.” Adele admits, “I was a little hesitant at first to be involved with the theme song for SKYFALL. There’s a lot of instant spotlight and pressure when it comes to a Bond song. But I fell in love with the script and Paul had some great ideas for the track and it ended up being a bit of a no-brainer to do it in the end. It was also a lot of fun writing to a brief, something I’ve never done which made it exciting. When we recorded the strings, it was one of the proudest moments of my life. I’ll be back combing my hair when I’m 60 telling people I was a Bond girl back in the day, I’m sure!” Recorded at Abbey Road Studios in London, “Skyfall” features the lush accompaniment of a 77-piece orchestra. 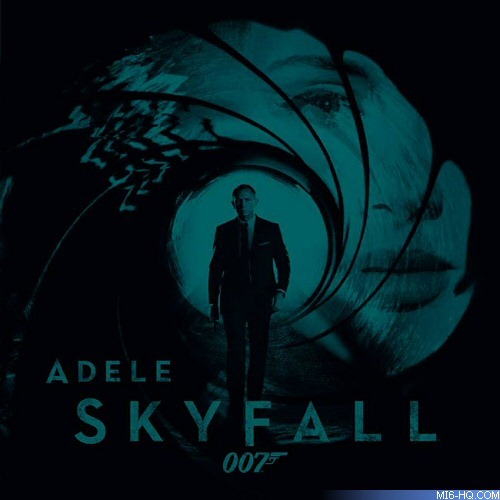 “Skyfall” is the first recording by Adele since releasing her massively successful second album 21 in early 2011. To date 21 has sold over 24 million albums worldwide and garnered Adele 6 Grammy Awards, 2 BRIT Awards and 2 Ivor Novello Awards. 21 is the biggest selling album of both 2011 and 2012.